oogle and other players in the information technology (IT) industry say Microsoft is guilty of “industrial espionage” in the wake of catching the software giant displaying results originating from Google itself on the Bing search engine’s results page (which is operated by Microsoft). The charge itself is surprising; but perhaps almost as surprising is that a company with the name-brand recognition, market share and raw success of Google would float charges as ridiculous as “espionage” is in this case – in public. It’s all a product of an ongoing and, really, tired theme in the IT sector: techno-bigotry. It’s existed for years between the two mainstream, competing platforms for Internet-based application delivery: on one side you have Microsoft Corporation which used to be criticized (rightfully) for offering a heavily proprietary solution architecture; and on the other, what I term “the Java alliance” – which is really an architecture that at key points conforms with a loose agreement on industry standards and technologies that are based upon “open-source” development principles (though there are many elements which can be proprietary in nature). There are those who’d dismiss the Google announcement concerning the alleged Bing results replication as merely the product of the fiercely competitive web search sub-industry – that it’s all about optics and trying to make Google appear more innovative than Microsoft (yet again). But this is a hugely simplistic view of Google’s real motives. After all, the information being contested in this complaint is either “out there” – visible to the public; or at least any member of the public equipped with an application capable of reading the web protocol "HTTP” (a web browser), or voluntarily shared with Microsoft by individual users (i.e. data shared though the Bing toolbar or other available “clickstream” data, acquired by legitimate means. Normally when one conducts espionage, one is surreptitiously (and unlawfully) getting information which has value both as intellectual property and as information that offers competitive advantage (which, in the IT sector would typically be technology that nobody else has). Typically, such technology is the product of innovation by the company holding it. So did Microsoft – which admits it did present results in a fashion very similar to Google – commit espionage or, as one analyst claimed, “cheat” doing what it did? The answer is yes, certainly; if your definition of espionage and cheating includes using information that was broadcast without encryptions or other protections of any kind into the public domain. Technology bigotry is so ingrained in the IT industry’s culture; there are very real parallels with college sports, complete with slogans, mascots and meaningless, ad hominem arguments as to which team is better. My definition of both espionage and cheating differs from that conclusion (as does virtually every published lexical reference I could find online). Beyond all of this, were Microsoft really guilty of espionage, Google would not be making claims so publicly about their “sting”, as they call it. Microsoft would be dragged up on criminal charges and Google would be very tight-lipped about what claims it was making in public, notwithstanding the usual statement in such circumstances, “We cannot comment because the matter is before the courts.” (Particularly in the litigation-prone United States of America.) So why is Google trying its would-be espionage case in the court of public opinion? In fact, there are many reasons. For one thing, Google wants to highlight its position as the leader of search technology, because Bing (Microsoft’s search product) has been gaining ground. And, lets face it, search is Google’s “crown jewels” – just as Microsoft Office products are its “crown jewels” (alongside the Windows operating system). Google will do anything and everything (within the scope of lawful conduct) to defend its web search property. In charging Microsoft with “cheating” like this, particularly to the largely non-technical advertising and marketing business audience, Google is attempting to make Microsoft out to be a company that just can’t figure out how to beat Google by innovating on its own. The trouble is, everyone already recognizes Google as the undisputed leader of web search. So is there something else Google gains in all this? You bet! There’s another audience of note: software developers (like me!). Web developers and software developers are often overlooked as a relevant crowd in such stories by the mainstream media; but don’t think for a second both Google and Microsoft don’t spend a lot of time, effort and cold, hard cash wooing developers to use their products. Why? Because when software-based solutions are created, the size of the pool of resources available to maintain and upgrade the resulting products are a key consideration for IT managers – which translates into determining how much those solutions end up costing in the end. In general, the more developers there are whose expertise gravitate to one particular toolset, the less costly that toolset is. And at the moment, Microsoft is winning the battle for the hearts and minds of software developers (mostly due to the de facto capitulation of Java through IBM’s acquisition of it, via the Sun Microsystems transaction, back in 2009). In this developer’s opinion, Java has lost much of its momentum throughout the industry as a direct result of IBM taking control of the technology. And software professionals are aligning their careers accordingly. 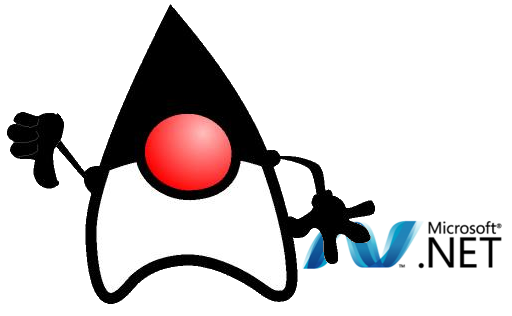 But Java’s legacy can’t be underestimated – it is still to be found in many spaces and the Java language will remain a relevant, sought-after skill for several years into the future at least. And Google can be thanked for this, in part. As a third-party company, Google is at liberty to offer integration to any partners it prefers…and it is obvious that while it is possible to integrate with many Google service offerings with Microsoft technology – it is not rolling out the red carpet to Microsoft’s .NET platform, nor the Windows operating system by any means. Indeed there are service offerings which are exclusively available only to the Linux operating system, which is one of the top three competitors to Microsoft Windows. From a business perspective, this lukewarm reception to Microsoft integration makes some sense, since increasingly Google and Microsoft contest the same service paradigms. Search is only one example. Google Docs is a direct competitor to Microsoft Office, Google Desktop is a direct assault on both Microsoft Live Essentials and Microsoft Search technologies. If Google is to gain mind-share amongst the developer population and someday be able to threaten Microsoft’s dominance in the server room (which is its ultimate goal, I believe, since that’s where the big money is), it really needs to do what it can to discourage adoption of the .NET Framework. So expect more spectacles of one sort or another with this core theme exhibited as part of a long-term strategy to beat Microsoft. And I say long-term in the full sense of the word. Not only is Google not yet directly challenging Microsoft in the operating systems space (which it needs to do in order to get through the server room doorway), but Microsoft has played this game before…and always won. It beat Java with .NET. It beat Netscape with IE. It even beat Sony and its PlayStation with the XBox. But Microsoft’s never taken on a company quite like Google before…a company as innovative and fast-paced as Google. Google won an early battle stifling Microsoft’s foray into online services with its Microsoft Live web properties; but Microsoft countered by making a huge consent-based investment in Facebook and continues to increase that investment while partnering more and more closely with the near-monopoly it holds on social networking. The game is too close to call at this point. And expect the techno-bigotry to continue….with all is parallels to college sports; slogans, cheers, mascots and meaningless ad hominem arguments as to which team is better.